Our range of Mobile shelving offers the highest quality track, mechanism and base. 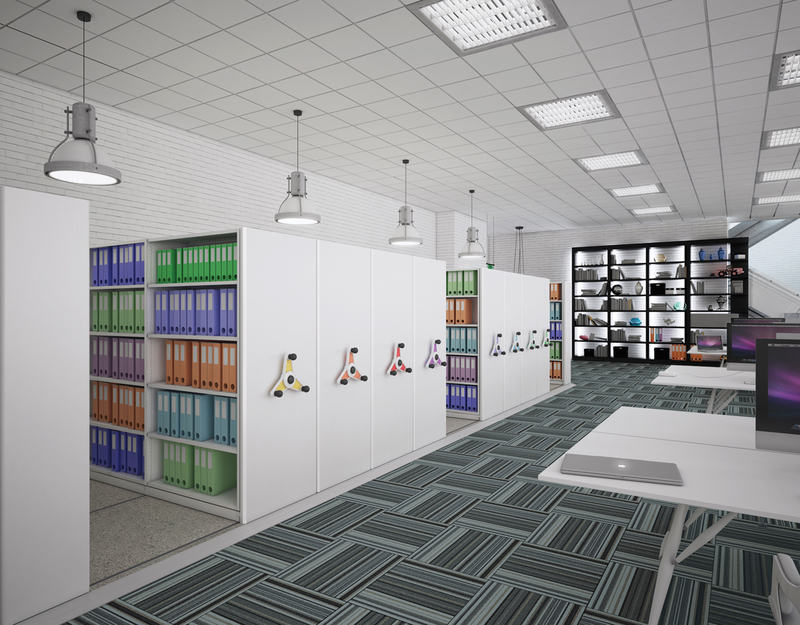 It will accommodate the Mistral Shelving system and can create up to 100% more storage in your existing archive area. The mobile systems are all bespoke to you specific requirement and we can help you at every stage of the design, planning and installation. From consultation through to installation Locker Shop UK Ltd makes it easy. As your storage needs outgrow your space the answer is a Locker Shop UK Ltd mobile shelving system. Simply call us and we can answer any initial questions and arrange a visit from one of our specialist, in house design team. We can undertake an onsite consultation without any obligation. One of our experienced designers will visit your site, listen to your needs and discuss the possible solution. After the initial visit our design team will compile a proposal which we feel best suits your requirements and we can confirm the proposed solution costings. Should you wish to go ahead our experienced installation team will deliver and install your system, at your convenience, with the least possible disturbance to you and your organisation. Please call us now to and see how we can help improve your available storage space.